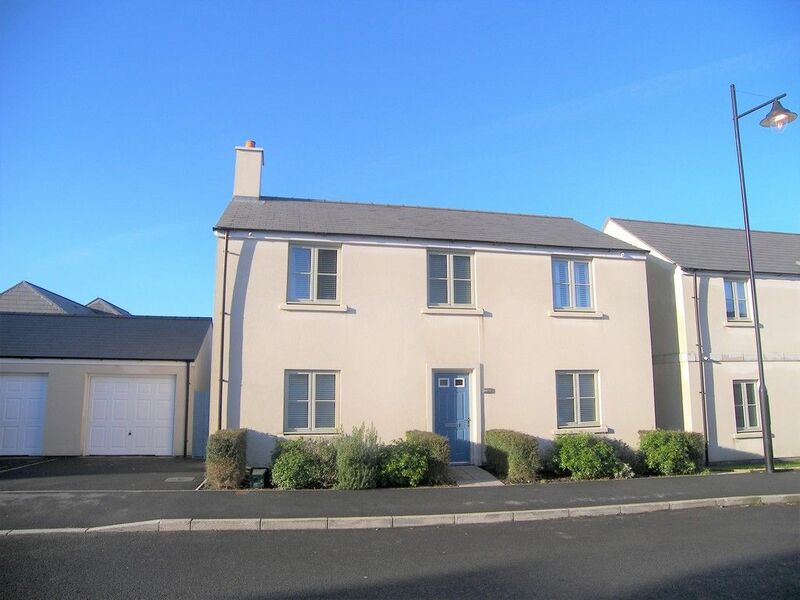 We are pleased to offer a 4 bedroom detached property situated in the much sought after location of Heathland Way, Llandarcy. 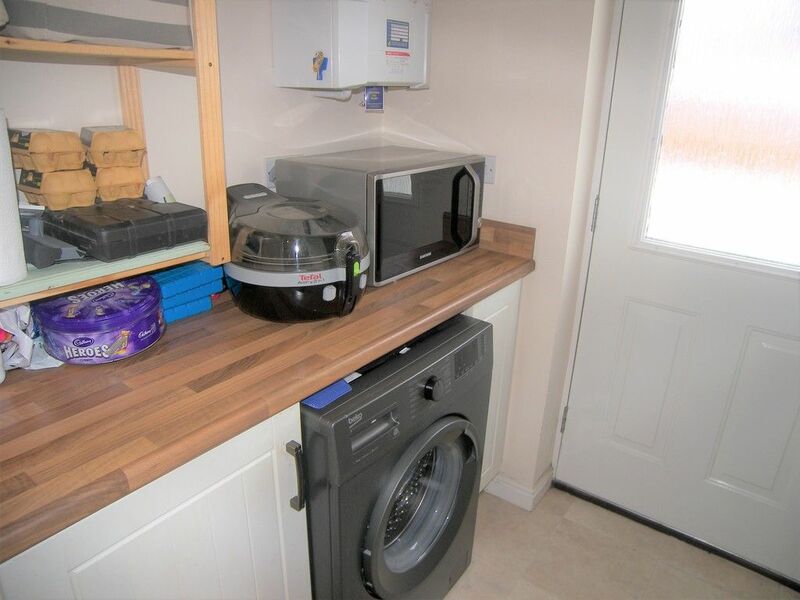 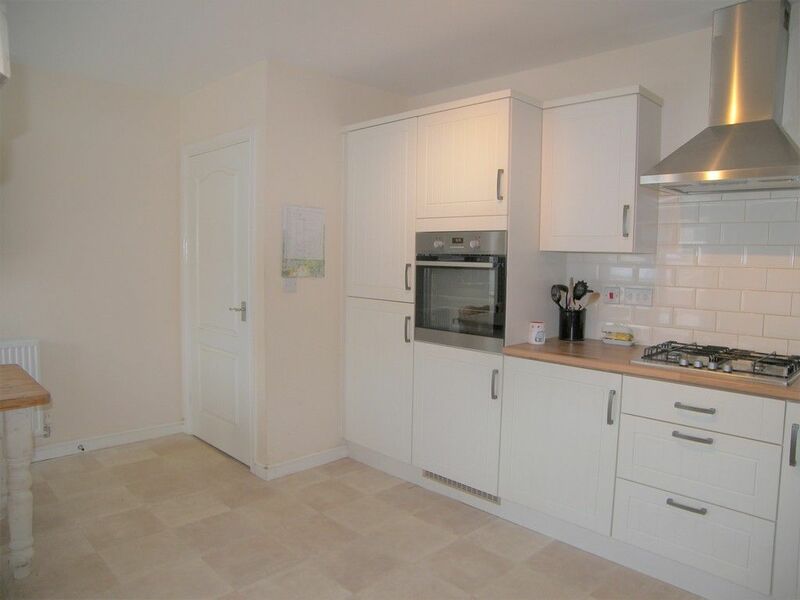 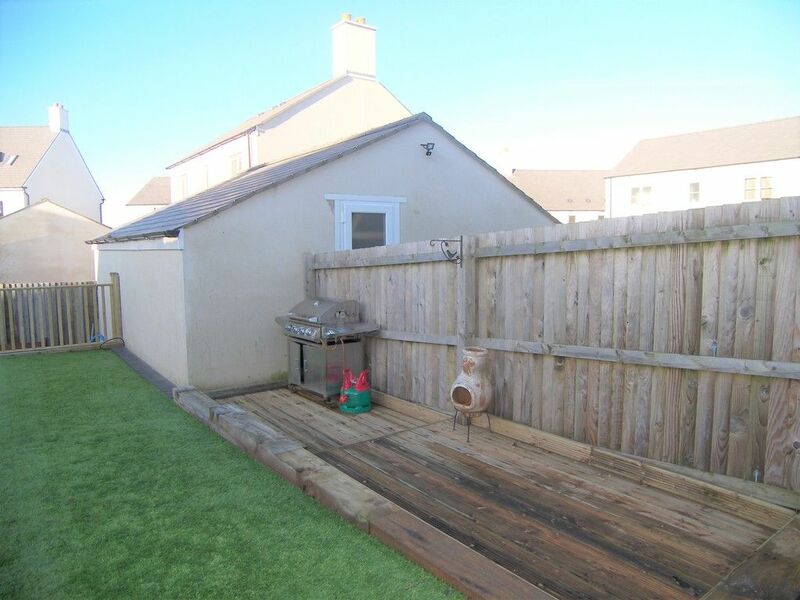 Briefly consisting of entrance hallway, 2 reception rooms, kitchen/diner, utility room, cloakroom, 4 bedrooms (master with en-suite), family bathroom, driveway leading to detached garage and a larger than average enclosed rear garden. 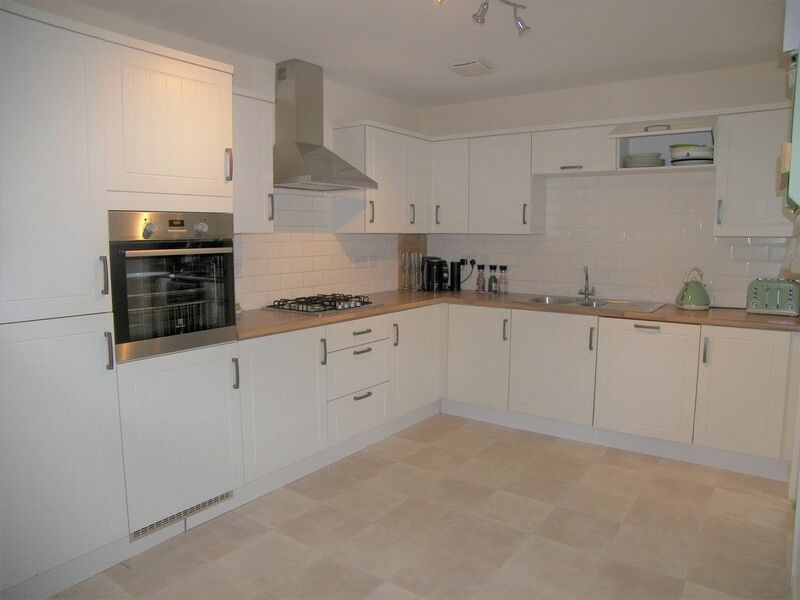 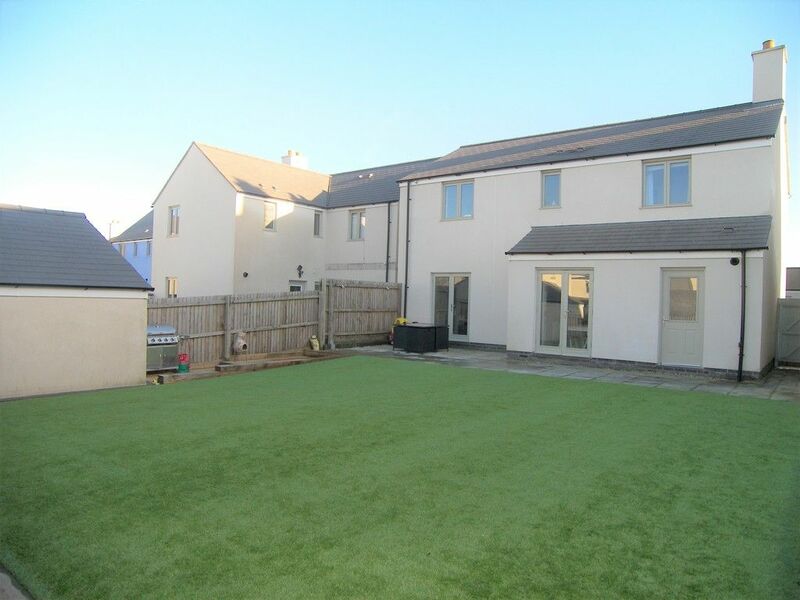 The property is situated in a popular residential development, with excellent links to the M4 motorway, there is an academy of sport gymnasium and Harvester restaurant close by, there are excellent countryside walks close at hand and both the market town of Neath and city of Swansea both just a short drive away. 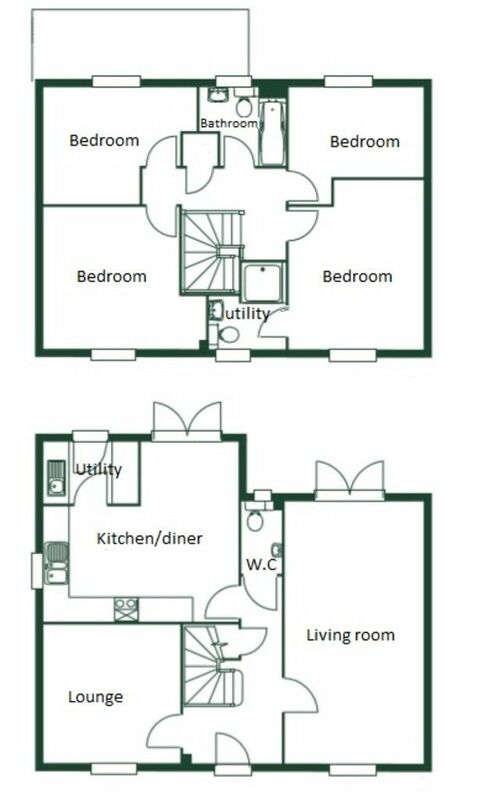 This home really does need to be viewed for its size, style and location to be fully appreciated. 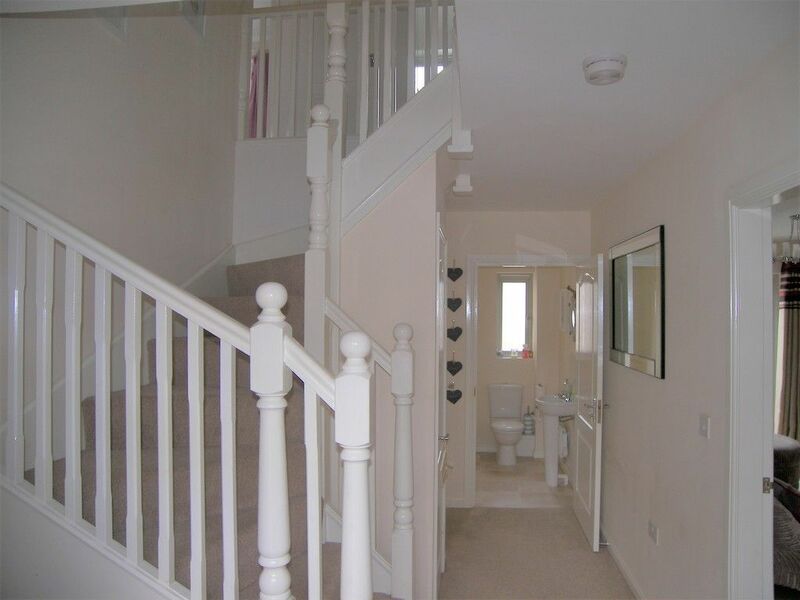 ENTRANCE HALL Fitted carpet, radiator, stairway to first floor, W.C, under stairs storage, access to ground floor living..
WC Vinyl flooring, radiator, W.C, double glazed window to rear. 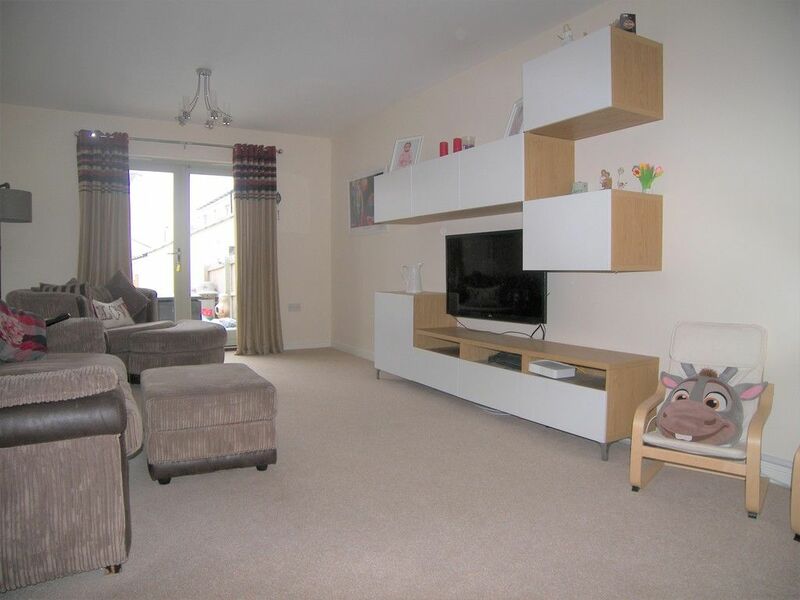 LIVING ROOM 14&apos; 8" x 11&apos; 0" (4.47m x 3.35m) Fitted carpet, radiator, radiator x 2, double glazed window to front, French doors to rear. 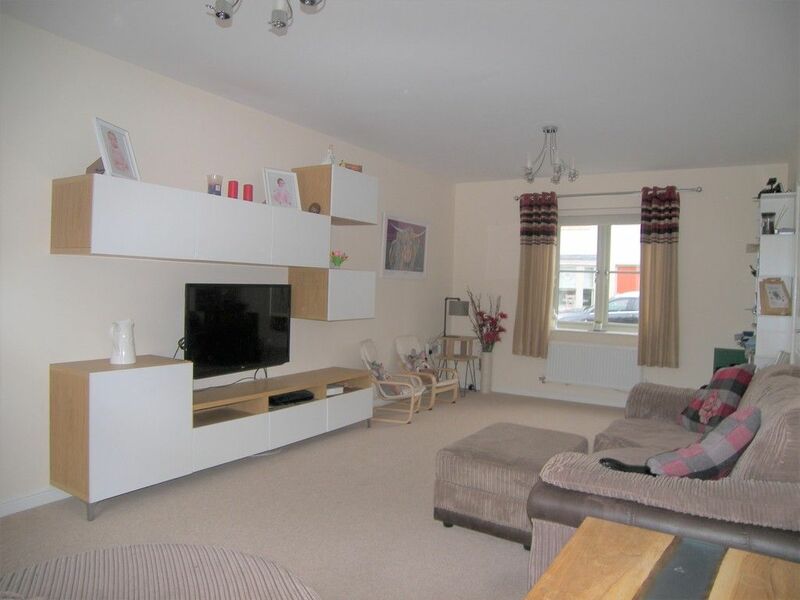 SITTING ROOM 11&apos; 811" x 4&apos; (23.95m x 1.22m) Fitted carpet, radiator, double glazed window to front. 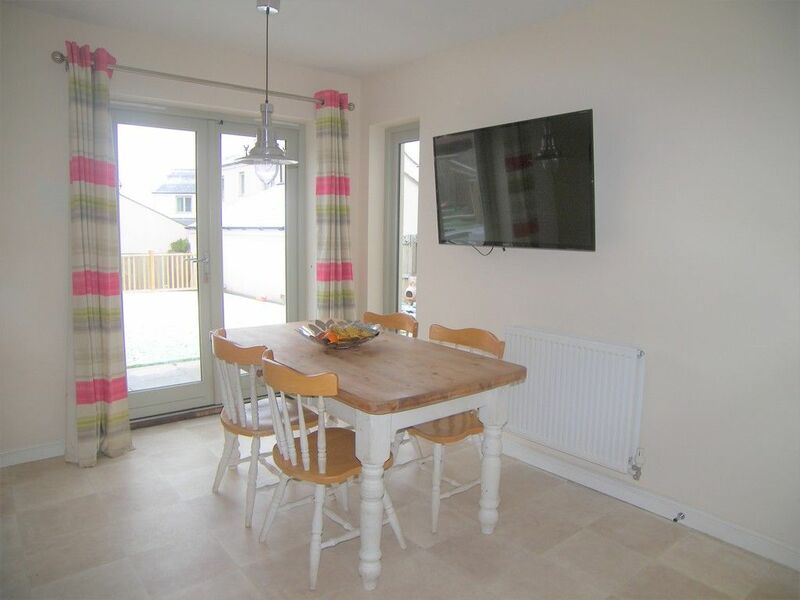 KITCHEN/DINER 15&apos; 8" x 14&apos; 6" (4.78m x 4.42m) Vinyl flooring, fitted wall and base units, integral fridge, freezer, dishwasher and oven, tiled splash back, radiator, double glazed window to side, French doors to rear, access to utility room..
UTILITY ROOM Vinyl flooring, base units, houses tumble dryer and washing machine, door to rear, houses combination boiler. 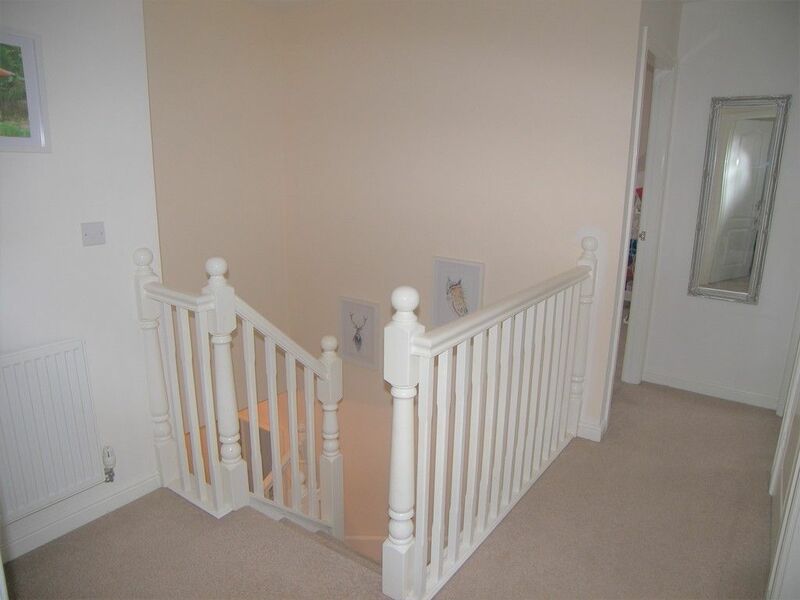 LANDING Fitted carpet, radiator, access to first floor rooms. 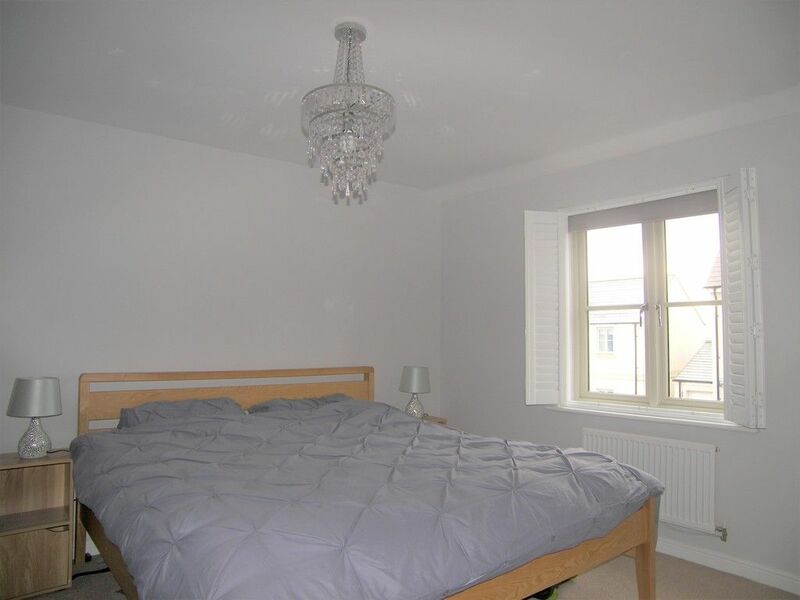 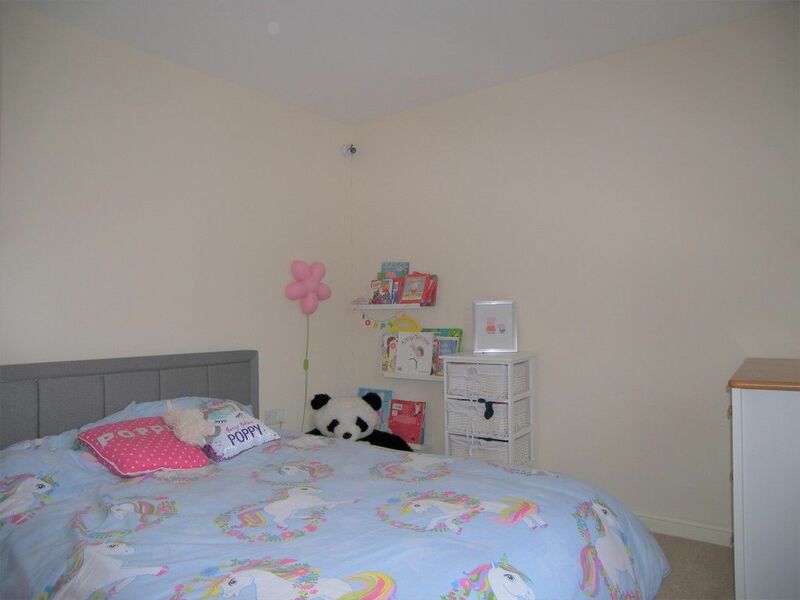 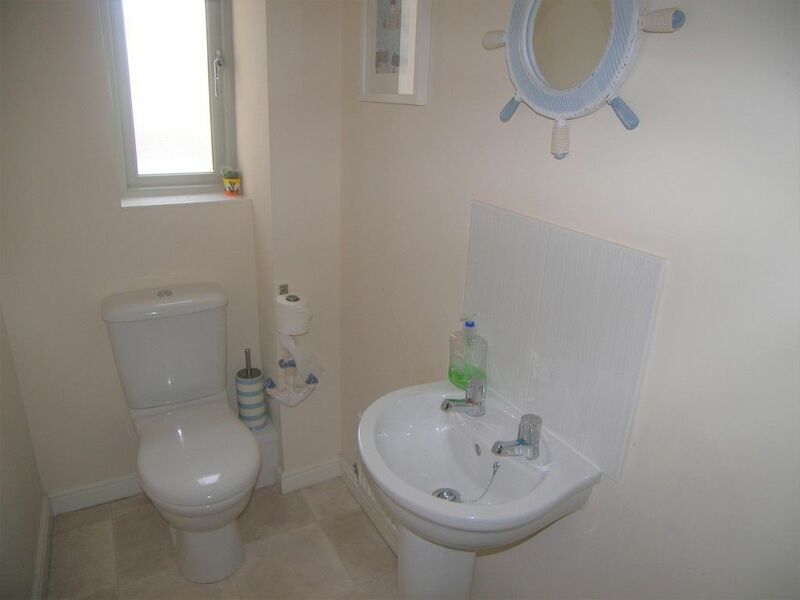 BEDROOM 13&apos; 10" x 10&apos; 11" (4.22m x 3.33m) Fitted carpet, radiator, window shutters, access to en-suite..
ENSUITE Vinyl flooring, W.C, hand basin, shower cubicle, double glazed window to front. 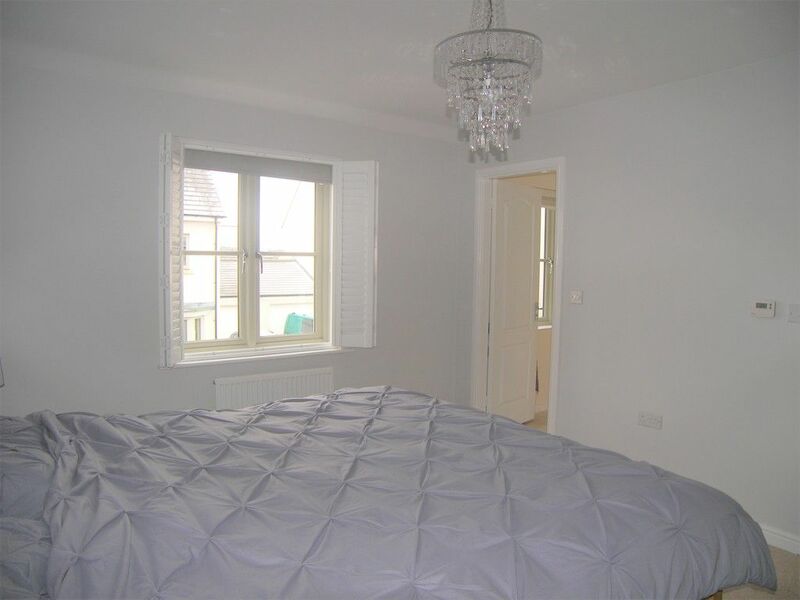 BEDROOM 11&apos; 8" x 12&apos; 0" (3.56m x 3.66m) Fitted carpet, radiator, double glazed window to front. 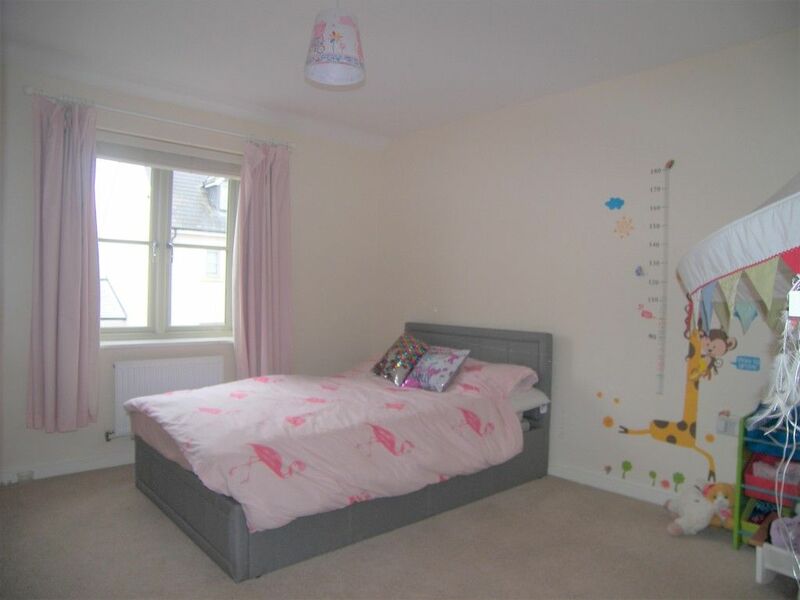 BEDROOM 12&apos; 9" x 9&apos; 9" (3.89m x 2.97m) Fitted carpet, radiator, double glazed window to rear. 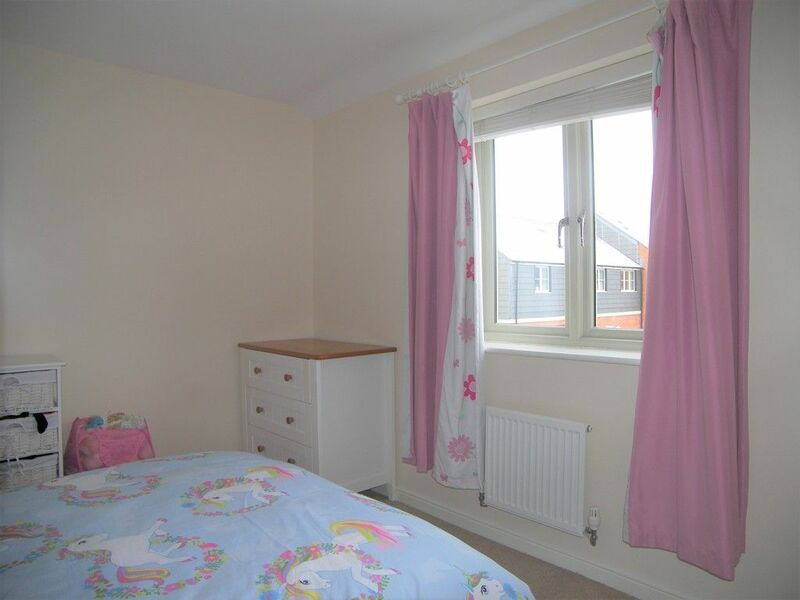 BEDROOM 11&apos; 0" x 9&apos; 10" (3.35m x 3m) Fitted carpet, radiator, double glazed window to rear. 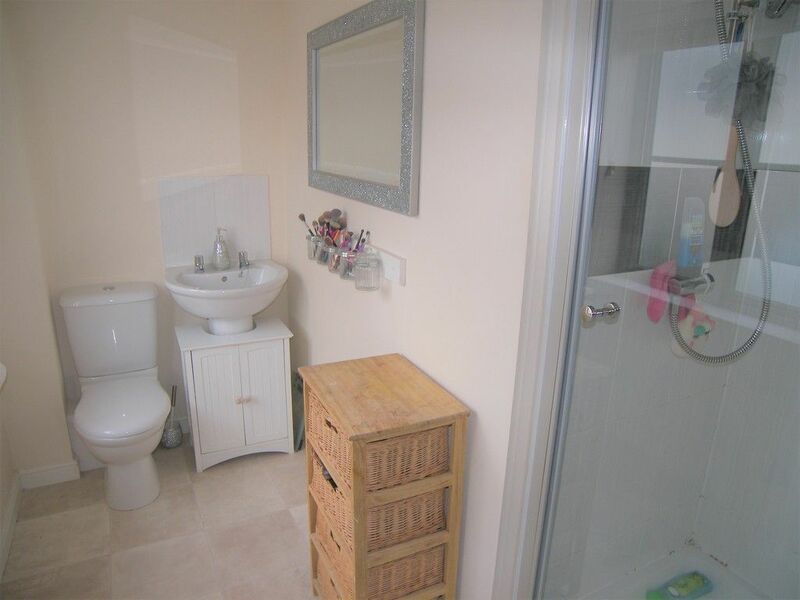 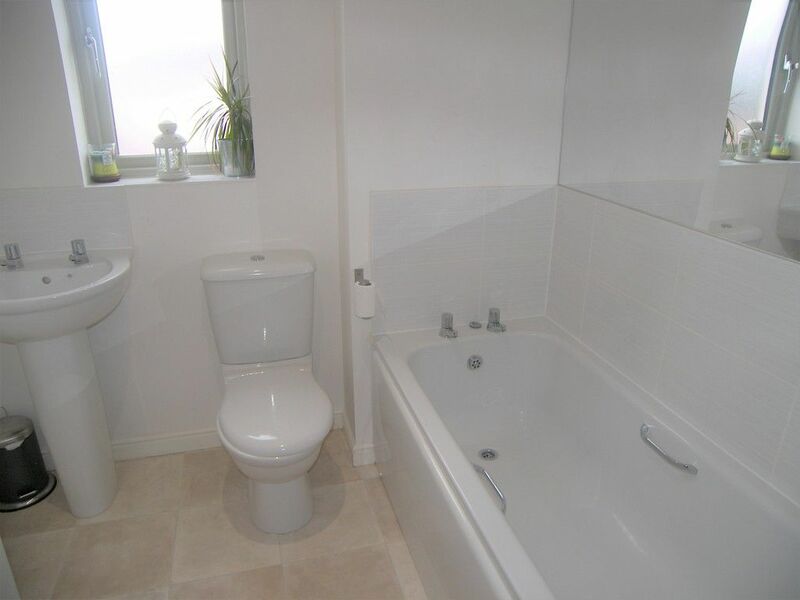 BATHROOM Vinyl flooring, W.C, hand basin, radiator, bath, double glazed window to rear. 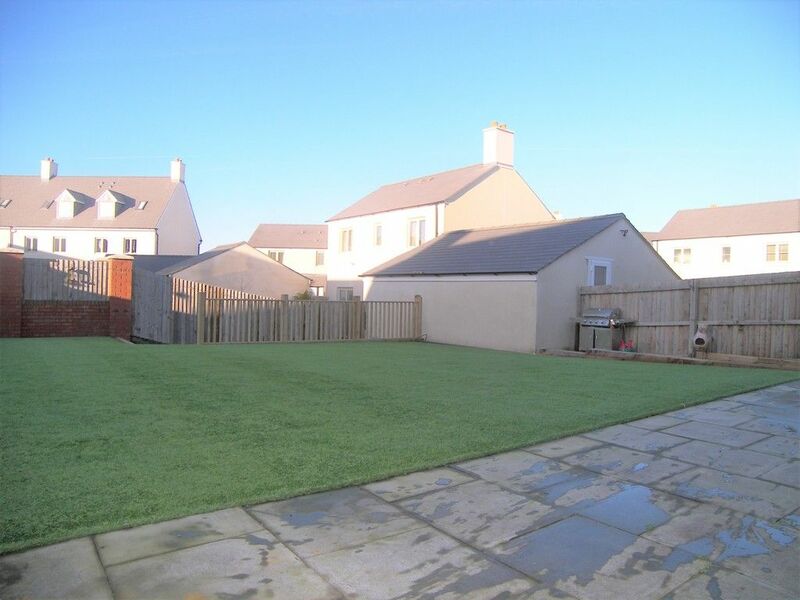 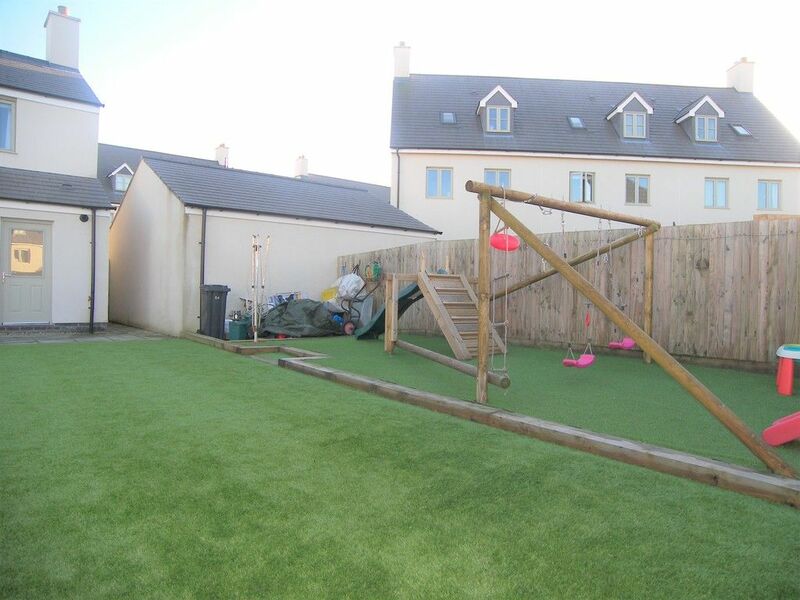 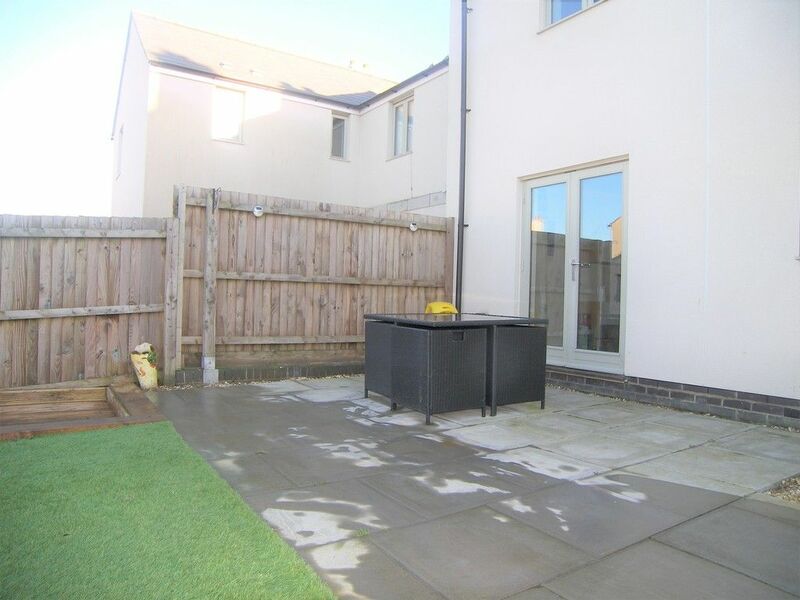 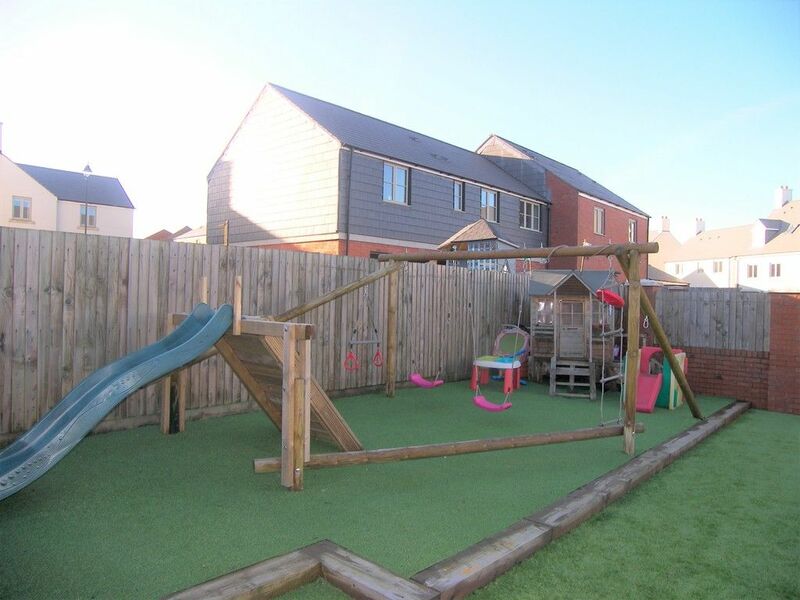 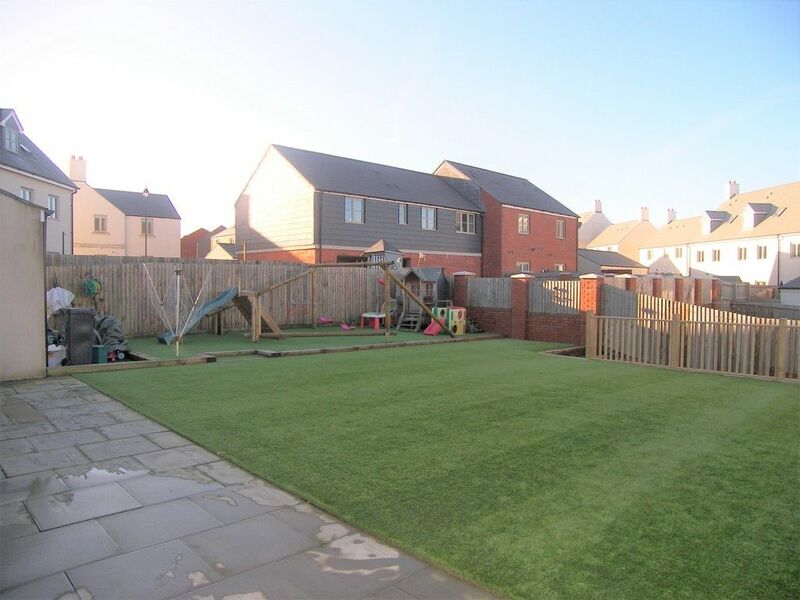 Rear - Mainly laid to artificial grass with decked and patio areas for seating.